The thrill of new hardware is difficult to match, especially when you’re taking delivery of Google’s flagship Nexus 6 smartphone and Nexus 9 tablet. That dream could just come true if you enter our giveaway. This is the second time we’ve given away this Android duo, and for good reason. The Nexus 6 is a 2.7GHz powerhouse, with a quad-core processor running Lollipop on a 6-inch quad-HD display. It also features a 13 megapixel rear-facing camera, and fast charging technology. 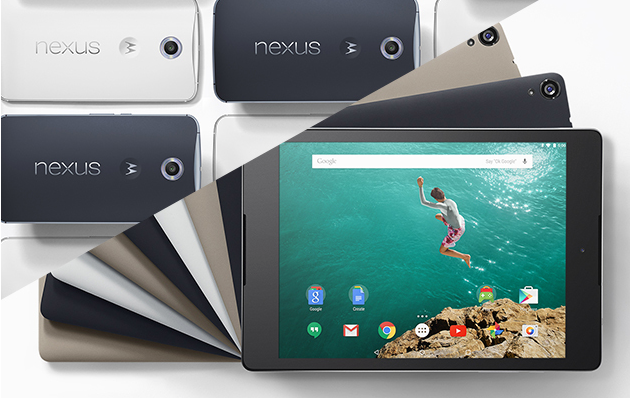 Likewise, the Nexus 9 offers the latest flavor of Android on a beautiful 8.9-inch display. If you would like to get your hands on these brilliant devices, simply head over to TNW Deals and create an account to claim your entry. You can then improve your chances by telling your friends on Facebook, Twitter, and by email. Best of luck!